I had the pleasure of helping create Hannah's dream makeup look for her wedding in Denham, Buckinghamshire, in June. 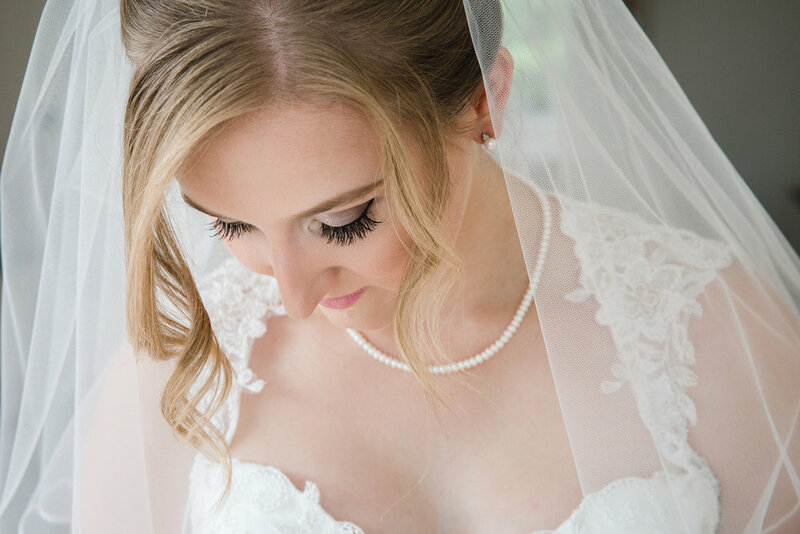 Hannah contacted me over a year ago before her wedding to book me to do her bridal makeup. 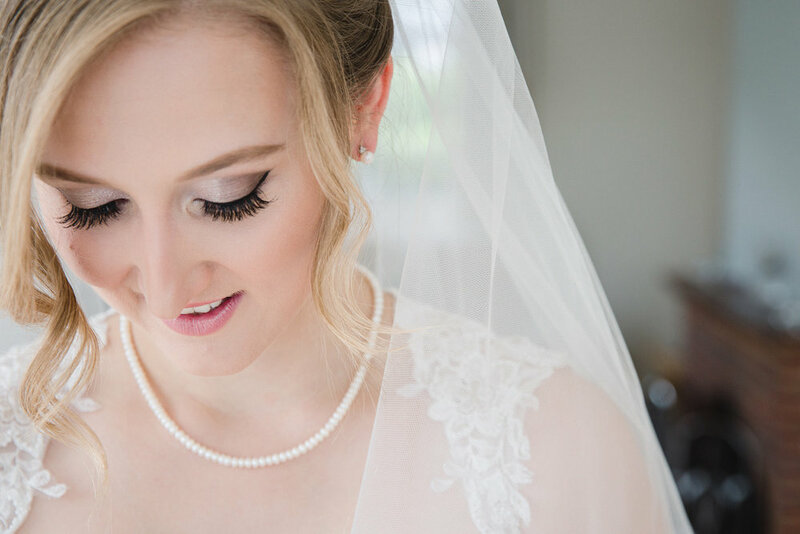 I had previously provided bridal makeup services to a close friend of hers and when Hannah and I first meet for the initial makeup trial, Hannah told me that she could not stop looking at her friends face all day, as she looked so flawless. Hannah knew she wanted me to do her wedding makeup and hearing comments like this always makes my day. I'm so thrilled when I hear feedback like this as I'm not there for the brides full day, but knowing that their makeup stays put is music to my ears. Hannah wanted her skin to look as flawless as her friends did for her wedding. In regards to the eyes, Hannah wanted a light smoke in the crease line, a bit of sparkle on the lid and she wanted some feline flicks as they were her signature style and would feel uncomfortable not having her trademark flicks. For Hannah's eyes I used Tarte's eye make up palette called Tartelette in Bloom Clay Palette and concentrated in the socket line and lash line. I used MAC's Pearl Reflects for the sparkle and Illamasqua's Precision Gel Liner in shade Infinity. Hannah's lips complimented her eyes, I used a MAC lipstick in a shade called Angel, a light pearl pink lipstick. Hannah kindly sent me some photographs from her magical day, courtesy of her photographer Louie Donovan and Louie arrived in her trademark black and white spotty car. Hannah got ready at her family home in leafy Denham, Hannah wanted a calm atmosphere on the morning of her wedding and also wanted the morning to be special for her mother too. I also provided mother of the bride wedding makeup for Hannah's mother, using cream based eye shadows in a light copper colour and lined her top lash line to give the illusion of lashes. The bridesmaids arrived later to a transformed Hannah and it was soon off to the church. Hannah looked stunning in her lace keyhole back dress with a delicate illusion tulle train from Maggie Sottero in style 'Collins'. Hannah purchased her dress from The Bridal House in Ashton Clinton as you can see from the photographs she looks very beautiful and is positively radiant. From my own personal experience, the staff at The Bridal House are extremely helpful and have a wonderful selection of dresses from designers Maggie Sottero, Ronald Joyce to Mori Lee.